The Graph Tech Resomax Autolock 6 mm Tune-o-matic Bridge features saddles made from their String Saver material which is impregnated with PTFE for permanent lubrication. Less friction over the saddles means strings don't bind in their slots during bending, improving tuning stability and reducing string breakage. 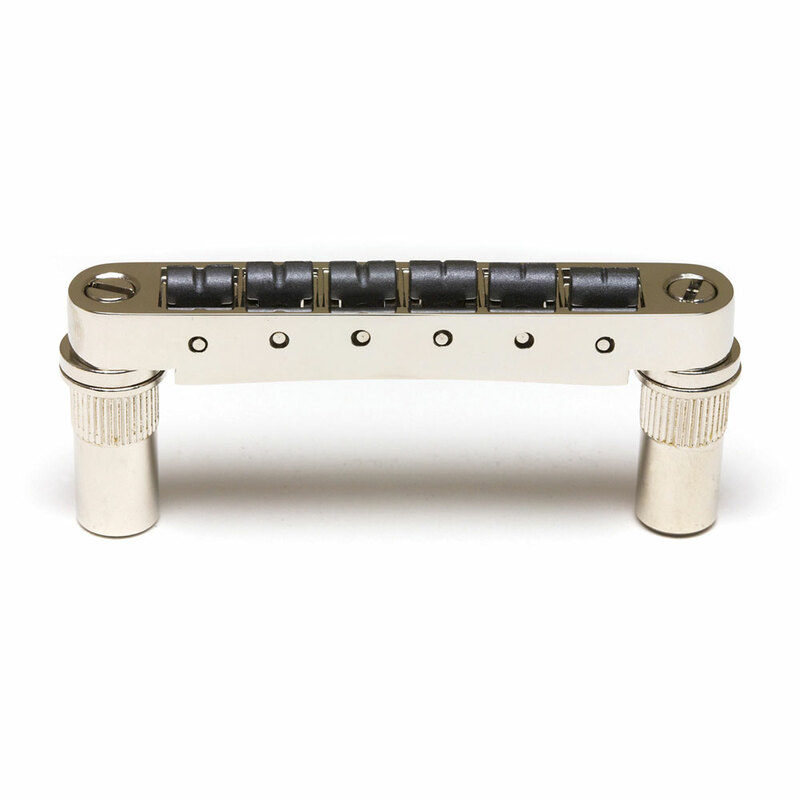 The bridge body magnetically locks to the steel bridge posts ensuring it stays in place when changing strings. The large 'import' style bridge posts have a slot in the top to allow easy height adjustment from above the bridge and are a direct replacement for bridges of the same style on Epiphone, ESP/LTD, Schecter and other guitars made in the far East and Japan.